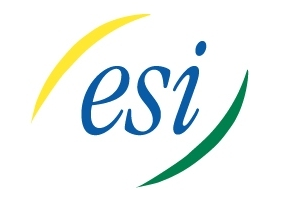 We are award-winning, certified dealers of ESI, Vertical, and IPitomy. We are please to announce our newest addition to our product line, the IPitomy system. IPitomy offers the latest in technology for your office telephone system. A true IP-based phone system, it can save you up to 50% on carrier costs when equipped with SIP trunks. ESI, IPitomy, and Vertical brands offers its own innovative and advanced phone systems, suited for your needs. Whether you are looking for a small, four-phone system or a 100-plus multi-site phone system, we can install a system for you. We have factory-certified technicians on hand to assure you a smooth installation. After we install your new system, you can be guaranteed we will be there to support your proudct, 24 hours a day and 7 days a week, all year round. We have been steadily growing for the past 25 years, so you can be asuured that we will be here to support your needs. In addition, we also serivce and support other systems such as Samsung, Toshiba, Iwatsu, AT&T/Lucent/Avaya, and Telrad.